Last night during Monday Night Raw, I teamed up with WWE and Susan G. Komen to FIGHT against breast cancer. 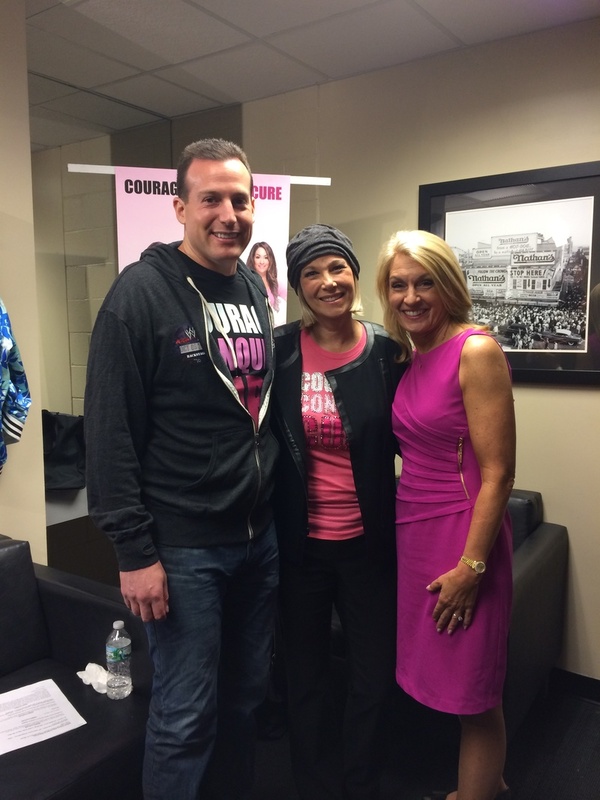 I have to admit, I was a little nervous to take the stage, but when I heard the names of the breast cancers survivors in the audience being announced, the arena filled with applause and all my butterflies disappeared. I was truly touched by the audience’s response to my speech. Since my appearance last night I have been receiving an overwhelming amount of supportive messages from WWE fans. I can’t express the gratitude I feel to have been part of such a wonderful night. Thank you to the WWE and Susan G. Komen for dedicating last night (and the entire month of October) to helping spread breast cancer awareness. I also would like to thank the WWE Superstars, Divas, staff and FANS for welcoming me into the WWE universe. 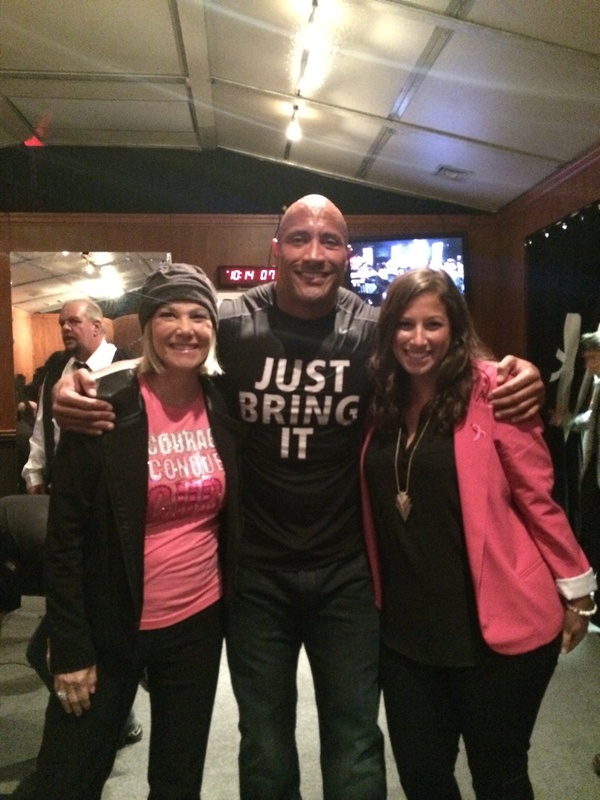 Above: WWE's John Cena, The Rock and Stephanie McMahon and Susan G. Komen's Eric Brinker and Lynn Sellers.